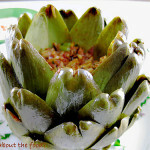 From the Archives - Artichoke Torte - What about the food? 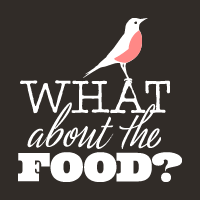 Do you have those family recipes, the go-to ones that are cried for during the holidays, potlucks or other get-togethers? Since the ’70’s this recipe has been on our snack table and taken for an appetizer when friends ask us to bring a little something to share. It is always a hit. There are many versions out there, a torte, frittata, or quiche, I’m sure. 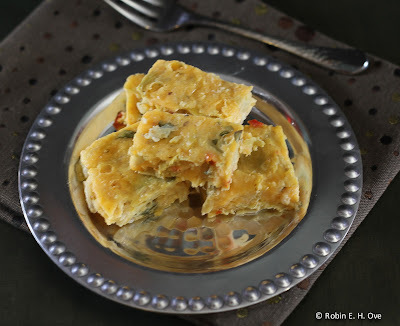 But I hope you enjoy my take on this savory, spicy artichoke and sharp cheddar perfection in a bite. There is a reason it keeps coming back to our table. I also think I started a new tradition. Tried out a wonderful focaccia recipe from Bon Appétit, with cracked black pepper and truffle oil. My darling son brought me a lovely bottle of truffle oil recently and I just had to put it to use. A sprinkle of minced herbs and finished with Pink Himalayan Sea Salt, these tasty bites disappeared very quickly. Hmm, dipped in olive oil and aged balsamic vinegar. 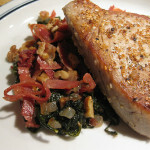 So, maybe you will have something new to try as you are preparing your holiday tables. Perhaps one will become a family tradition. Or both! Grate cheese, beat eggs, chop onion and herbs. 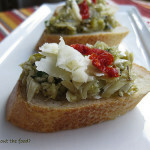 Drain artichokes, reserving liquid, give them a rough chop. In a medium pan, saute onions and minced garlic in 1 tablespoon olive oil and ½ of artichoke juices until soft and translucent. Remove from heat. In a large bowl mix artichokes, sun-dried tomatoes, grated cheese, bread crumbs, beaten eggs, herbs and garlic onion mixture including pan juices. Add Tabasco (to taste), black pepper and salt. Stir to thoroughly combine, making sure the cheese if fully coated and not in clumps. Spay an 8” x 8” pan with vegetable spray and Pour in mixture. Bake for 30 minutes until set and golden brown. Cool for at least 15 minutes, then and cut into squares to serve at room temperature. 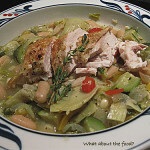 This recipe can be doubled and baked in a 9” x 13” pan for about the same time. 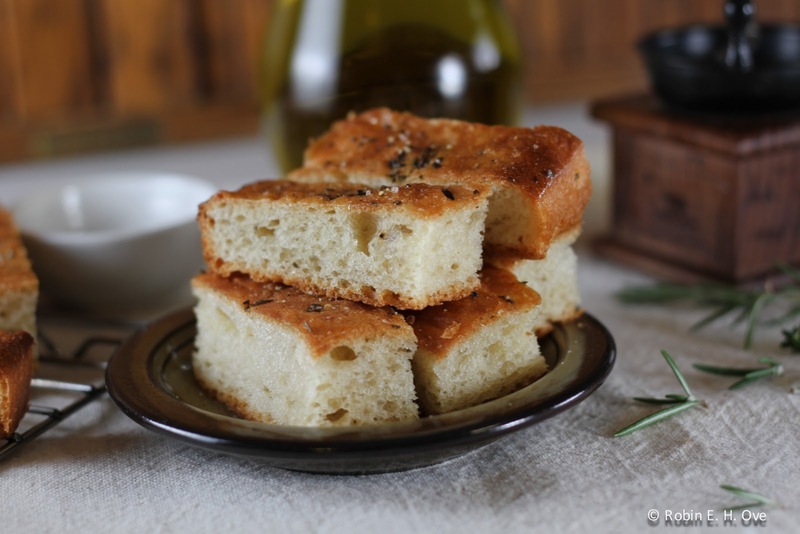 You will really like how easy this focaccia recipe is. I even used the quickrise yeast and saved a bunch of time. Didn’t know this would be good enough to give someone the “vapors…” — maybe it is! Both the torte and focaccia speak to me. I just can’t seem to get enough of Mediterranean type of ingredients lately with Italian creeping in through every crack of my kitchen! I could take a bath in olive oil and aged balsamic. Oh my, what a bath that would be Lynn! LOL! My whole Thankgiving gave way to the Italian influences. What have you been cooking lately? Love both the torte and the focaccia! And I love the way we can take those old 70s recipes and modernize them with cool new ingredients. Just perfect! Everything old is new again Jamie! such refined richness, delightful indeed, Robin…thanks for sharing your loving family traditions with us here! Hiya Ms. Bentobird! Sharing this is my pleasure. I am so glad you enjoyed it.